Texture: It's not the easiest task to break this nugget into pieces appropriately sized for a bowl. It is practically a hardened glob of weed, and you may need your fingernails to break off those smaller pieces. I'm reminded of Styrofoam, which somehow manages to be strong and reluctantly malleable at the same time. Looks: These nuggets are dense. 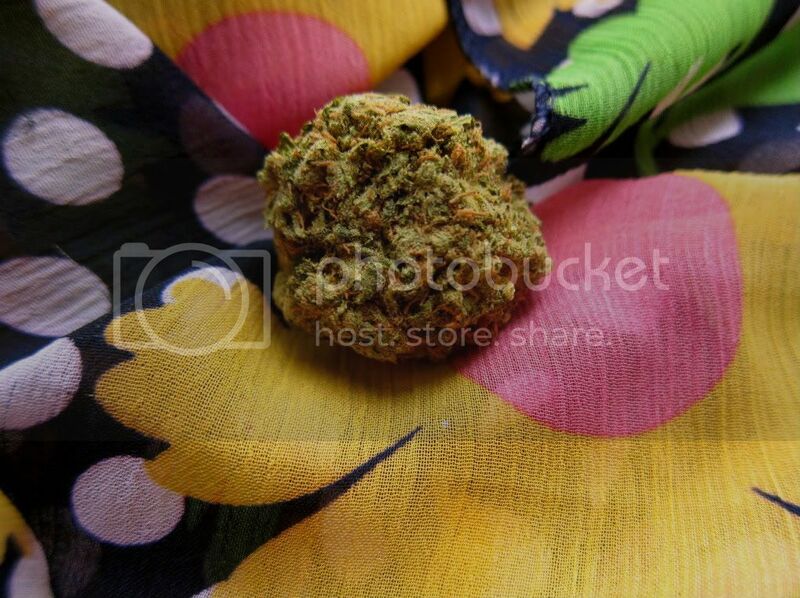 As you can see from the photos it is a solid, rounded mold of weed. The nuggets boast a soft green color with plenty of amber trichomes. Smell: Chem Valley Kush is the smell of weed at it finest. It is sweet, piney, and has the quintessential great-outdoors smell. I've had this strain for over a week and it still smells like I walked through some field this morning and picked some for myself. Taste: A strong, solid taste of everything it smells like. The smoke is nice and heavy but smooth. I have a friend who coughs like a hyena every time he smokes - I have to admit, it's not the most pleasant sound to be around. But no such problem while smoking Chem Valley Kush with him. It's smooth and non-irritating, so no fits of coughing for you or for your smoking partner. Let us smoke in peace. 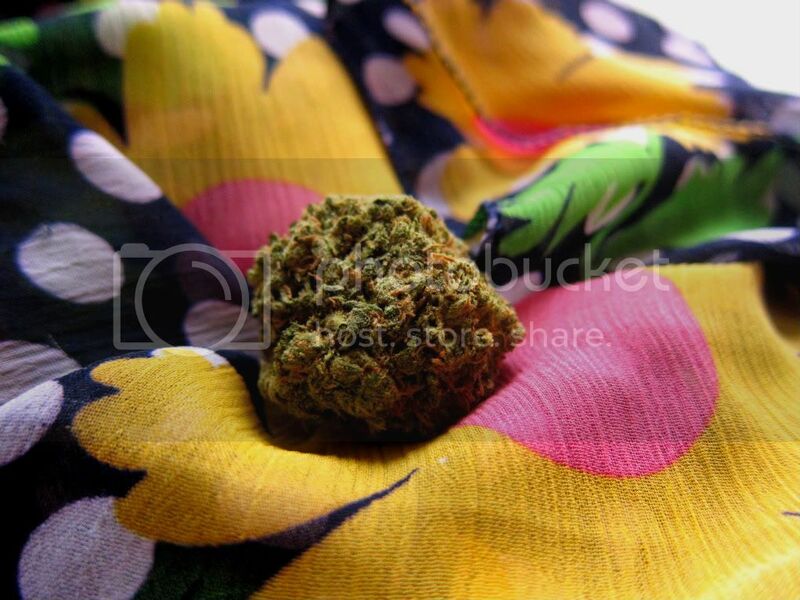 Buzz: Chem Valley Kush gives a strong, wonderful body high. I have been complaining of muscle pain these past couple of week (I started moving beyond the cardio room for my workout and my abs are not used to it! ), and spending the weekend with some good weed was the perfect way to melt away the pain and tension. After only taking two hits of Chem Valley Kush I felt the tension in my arms and abs muffle, and I was able to go about my day feeling more cheery. There is barely an effect of a head high in this strain, which is good for when you want to make sure you remain clear-headed throughout the day.